Home is a place you can feel safe, relaxed and comfortable. However, your home can also have some major hazards that lead to falls. The reality is that a senior is treated every 11 seconds in an emergency room for injuries associated with falling in their home. While falls can happen to even healthy, active people, fall-related injuries are a leading cause of early death. The risks especially significantly affect seniors. 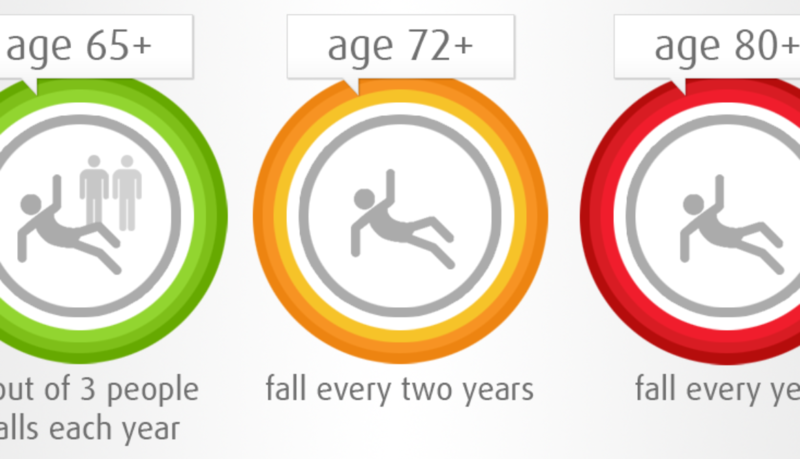 In fact, one in three people over the age of 65 falls, often resulting in life-changing injuries. 1. Tape down the edges of mats and rugs; consider removing area rugs to avoid tripping over them. 3. Remove piles and stacked papers from floors and hallways. 4. Make sure you have good lighting near your bed, in hallways and at the top and bottom of stairways. 5. Add handrails to stairways and grab bars in bathrooms. 6. Put a bell on your cat or dog’s collar so you can easily hear where they are without getting up to look. 7. Wear shoes that are closed-toe, and have soles with rubber or other gripping material. 9. Use a shower chair and handheld shower head while bathing. Sit down to get dressed. 10. Install seat risers on toilets and chairs if they’re too low to easily stand up from a seated position. 11. Look at your medications. Some medicines have side effects like dizziness that may make you lose your balance. Ask your doctor if there are alternatives with fewer side effects or lower doses if you think they’re affecting your balance. 12. Keep your eyes in check. Make sure your glasses and contact lens prescriptions are up to date so you’re seeing as clearly as possible. Try not to use progressive lenses indoors, which can make it harder for you to notice contrast and depth. 13. Stay active. Go for walks, try yoga, or find senior exercise classes in your community. Staying active can help you maintain, and even improve, muscle strength and balance. Take your medications exactly as your doctor tells you to and as the bottle instructs. Do not make any changes to your prescribed medications without calling your doctor first. Keep a list of your medications with the drug name, dose and how often you need to take them. Remember to update the list each time there is a medication change. Put a copy of the list in your wallet in case you need emergency medical care. Make sure any doctor you are seeing is aware of all the medications you are taking, including prescriptions, vitamins, herbal supplements and over-the-counter medications. Make all your purchases from one pharmacy whenever possible. They can help you track your medications and let you know of any possible side effects. Use a pill planner to set up your medications if you are getting dosage times and days confused. Ask your pharmacy how to use this planner if you have questions. Seek medical assistance if you cannot manage your medications. Don’t take medications prescribed for someone else. This could have dangerous consequences for your health. Keep a flashlight and a telephone on a bedside table. Use only UL-approved electric blankets. 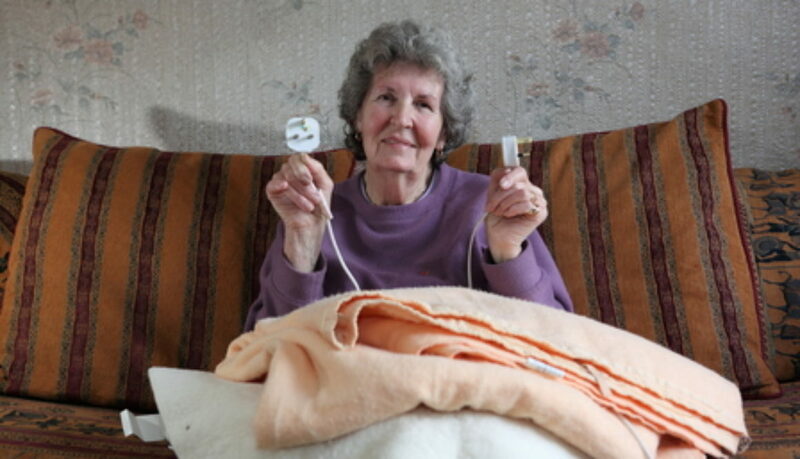 To prevent overheating, do not tuck in or put anything on top of an electric blanket. Sit on the edge of the bed before standing to avoid becoming dizzy. Keep a cane or walker by the bed. Adjust the height of your bed so that it’s easy to get into and out of. Use nightlights to illuminate doorways and pathways to the bathroom and kitchen. Keep walkways clear of electrical cords, loose rug edges and protruding chairs or tables. Help prevent falls in the tub or shower by installing grab bars and non-slip mats. Reduce the water heater temperature to 120˚F or below to avoid accidental scalding. Install smoke detectors and check their batteries regularly. Make a fire exit plan. Use extreme caution with portable heaters. Use extension cords with caution. Do not exceed the UL rating. Avoid reaching overhead or bending low. Store often-used items on shelves that are easily accessible. Place the microwave on a counter or table for easy access. Wear rubber-soled shoes to prevent slipping. Clearly mark the “off” position on the stove or range. Following these tips may help seniors to stay in their own homes longer, allowing for greater autonomy and less injury.